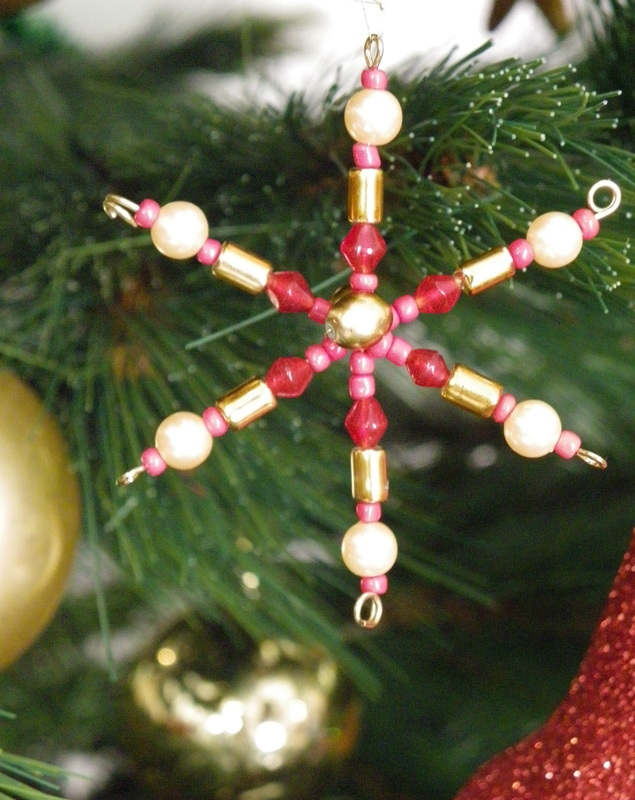 Simple beaded stars that are easy to make and look fantastic on the tree. 2. 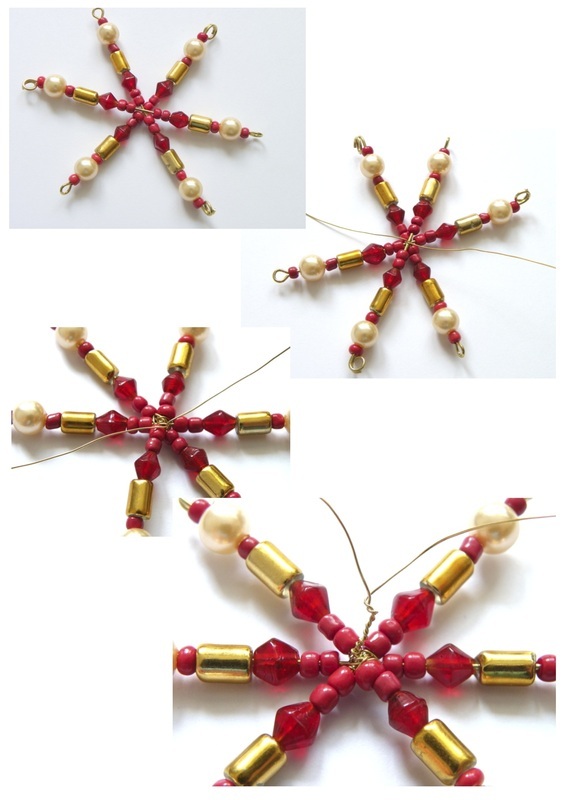 Beads of your choice - christmas colours and varying sizes work well. The hole must be large enough to fit over your Eye pins. 3. Wire - Fine gauge in a colour matching your eye pins. Work out your bead pattern. Doubled, it should fill about 2/3 of your Eye Pin length. 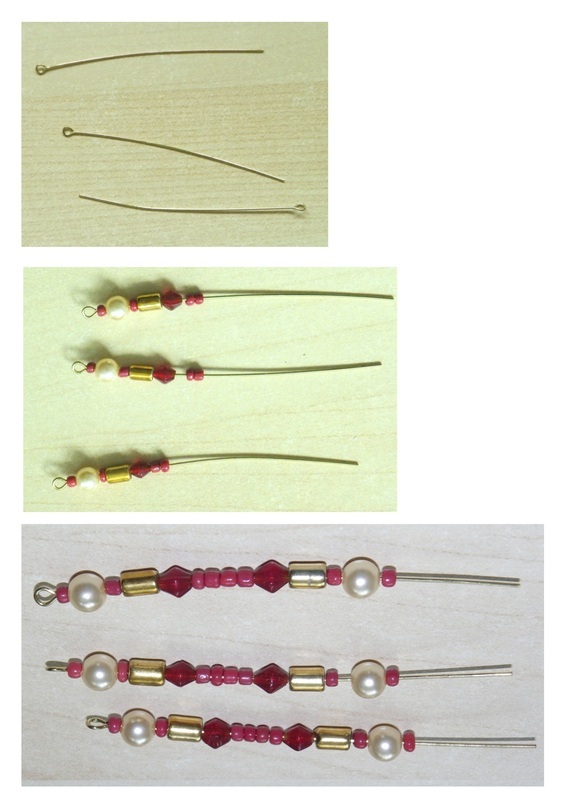 Thread it onto the Eye Pins and the add the reverse of the pattern to the Eye Pin. Using the round nose pliers, curl the end of the Eye Pin to make a hook. 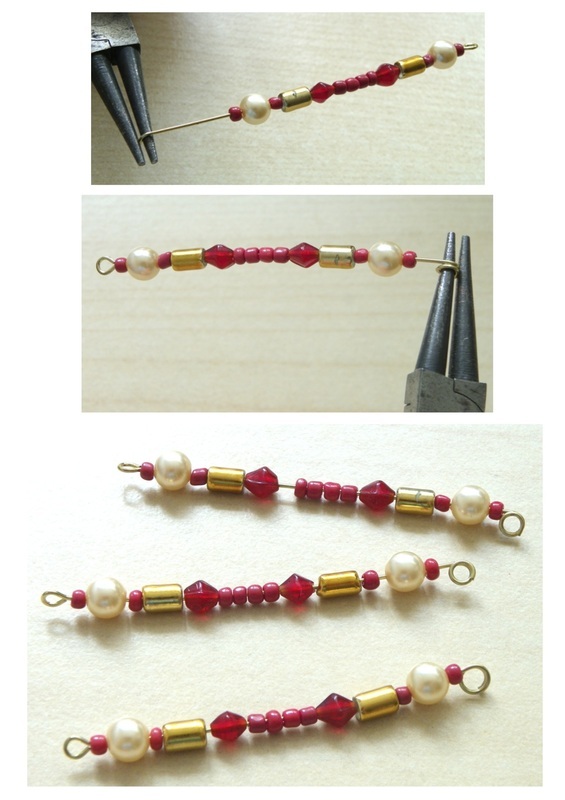 There should be a small space about 3-4 mm at the end between the last bead and the hook. Lay out the three Eye Pins into a star shape. Wrap the wire around the centre of the star to secure the Eye Pins in shape. You will need to wrap the wire tightly between all of the six join areas to secure the shape. 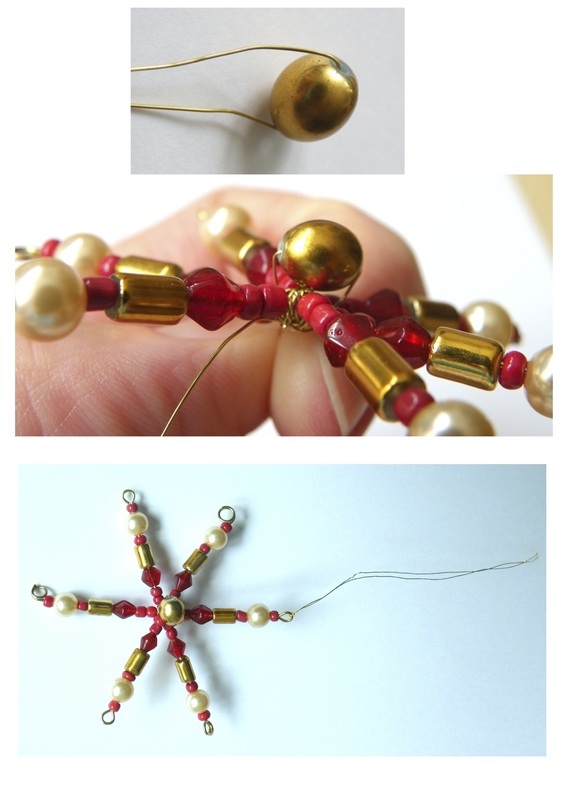 Attach a bead on either side of the star centre using the wire. 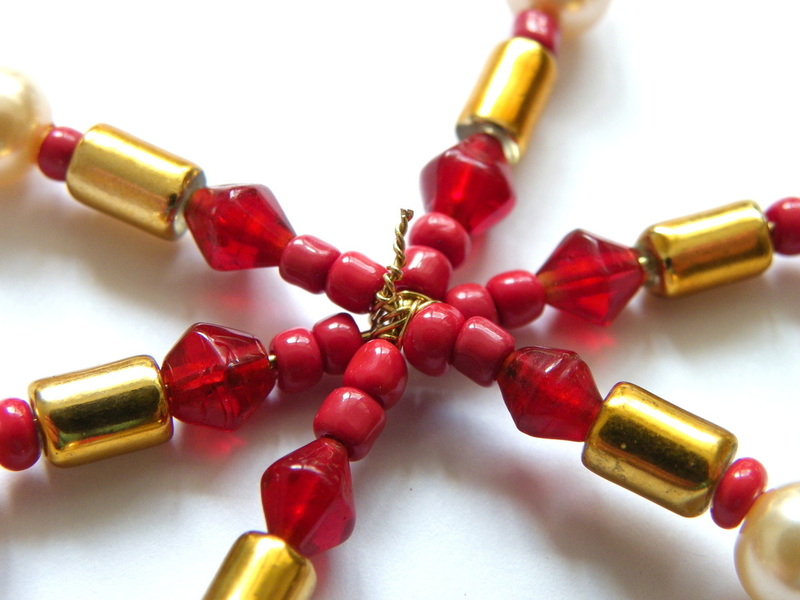 Secure the bead with glue (such as a hot glue gun) if you are having trouble keeping it in place.